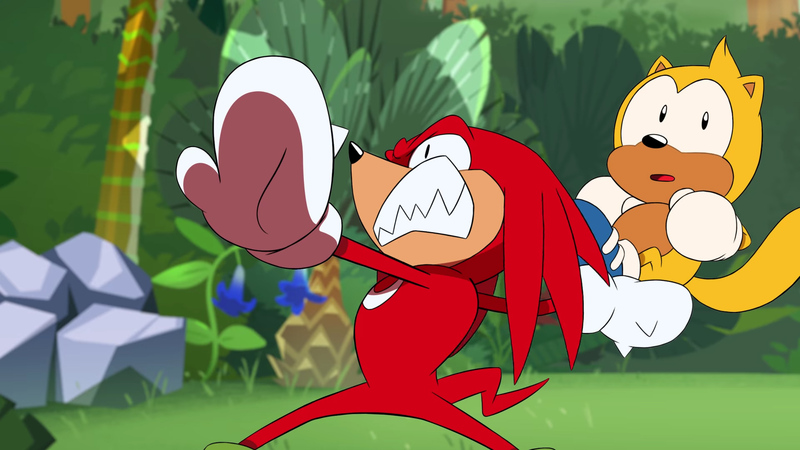 Whether or not you've been following the Sonic Mania Adventures animated series, you ought to watch this latest episode -- it's arguably the best one yet. Knuckles' antics had me grinning the whole way through. His don't-even-look-at-me attitude toward Ray the Flying Squirrel is a particular highlight. The team working on these shorts continues to nail the characters, tonally. This series is just plain fun. If you'd like to see part one or part two, just follow those links. Two more episodes left to go.